The Chicago Cubs visit U.S. Cellular Field on Sunday to play the Chicago White Sox. The probable starters are Dan Haren for the Cubs and Chris Sale for the White Sox. The opening line for this matchup has Chicago at +130 and Chicago at -140. The over/under was set at 7.5. The Cubs, with a 53-61 run line record, cover the spread 47% of the time. They also have a 47-59 over/under record. The White Sox are 55-58 against the run line and have a 51-58 over/under record. They cover the spread 49% of the time. The Cubs head into this matchup with a 66-48 record, including 32-24 on the road. Dan Haren has an earned run average of 3.55 and is 8-7 so far on the season while having a 1.12 WHIP. He's pitched 139.1 innings thus far while surrendering 128 hits over that time and when he starts, the Cubs are 11-12. Against the over/under, the Cubs are 13-9 in his starts. His teammates are averaging 4.1 runs a game when he pitches. The bullpen has an earned run average of 3.29 and they have given up 317 base hits on the year. The bullpen has struck out 351 and walked 132 batters this season while opposing teams hit .230 against them. Chicago has a team average of 8.03 hits allowed per game and are averaging 8.62 strikeouts per nine innings. With a team earned run average of 3.39, they are 4th in the league. Chicago ranks 28th in the league in team batting average at .240 while hitting .249 on the road. The Cubs hold a .381 team slugging percentage and an on-base percentage of .318 which is good for 14th in baseball. With 121 hits, Anthony Rizzo leads the team while his team ranks 28th in hits per game with 8.11. With a 29-27 home record, Chicago will hope to improve on their 54-59 overall mark. Chris Sale is starting this game 10-7 for the season with an earned run average of 3.47 and a WHIP of 1.07. He's pitched 150.1 innings thus far while surrendering 131 hits over that time in which the White Sox are 13-9. Against the over/under, the White Sox are 9-11 when he starts. His teammates score an average of 4.1 runs a game when he pitches. The bullpen has an earned run average of 3.49 and they have given up 301 base hits on the year. The White Sox bullpen has struck out 290 batters and walked 124 this season while opposing teams have hit .253 against them. Chicago has a team average of 9.06 hits per game and are averaging 8.35 strikeouts per nine innings. With a team earned run average of 4.03, they are 20th in the league. They rank 20th in the league in team batting average with a .249 average while hitting .244 at home. The White Sox hold a .381 team slugging percentage and an on-base percentage of .304 which is good for 24th in baseball. 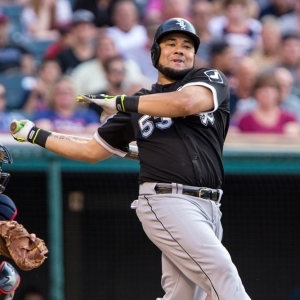 With 124 hits, Melky Cabrera leads the team while his team ranks 19th in hits per game with 8.52. Chicago has a team fielding percentage of .983 after having committed 74 errors with 1,173 assists and 3,098 put outs for the season. Over the course of this season, the White Sox have accumlated 68 errors while having 1142 assists and 3,042 put outs leading to a .984 fielding percentage.